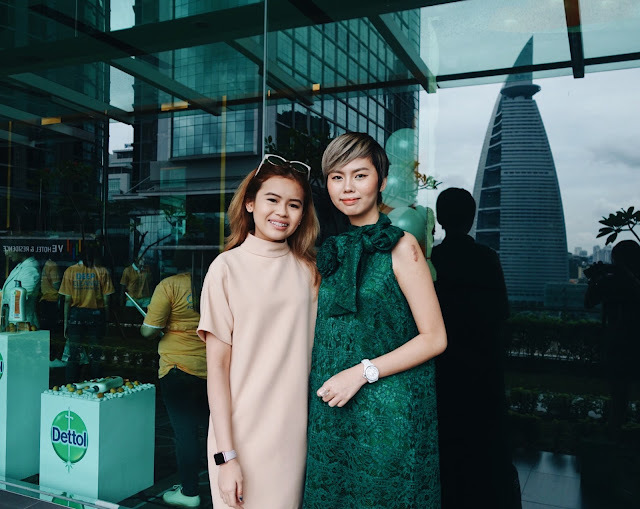 When I went to Melvin's newly open Atelier Prive Melson designer boutique located at Intermark for a shoot, I fell in love with this dress at the first sight and I was thinking: I'm gonna get this dress for my next event! Then guess what? 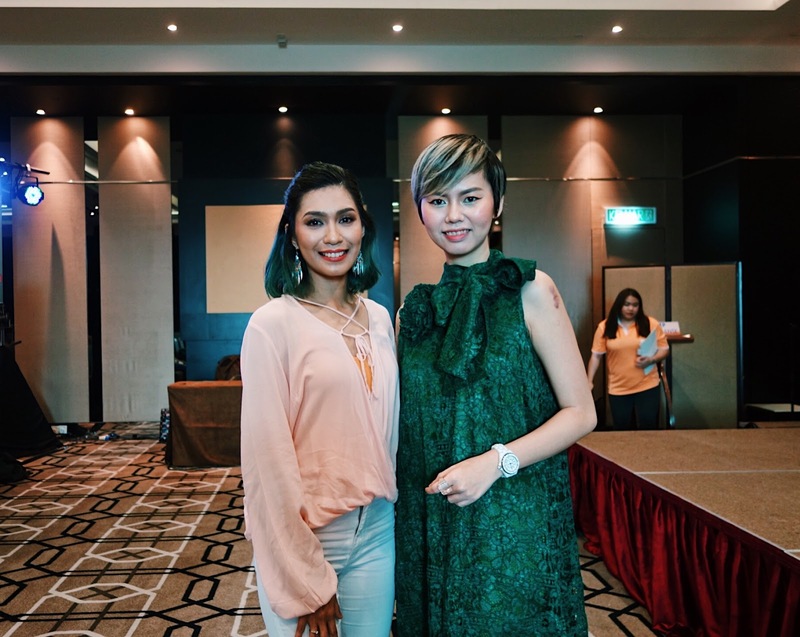 It's all about attracting positive energy into your life and law of attraction really does work, I was invited to a grand media launch and my wishful thinking of wearing this dress came true! 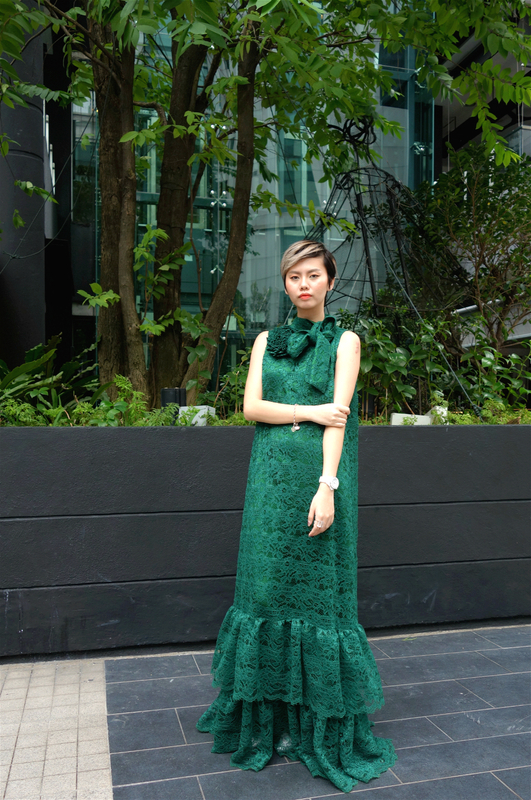 My casual style consist of tee shirt and jeans and occasionally summer dress/ tee shirt dress, but sometimes I would love to channel my feminine side and this is it - long, flowy layered lace dress with high collar, big bow and brooch details in bold forest green colour. I can feel this dress is speaking to me through the laces and details. To me, forest green is a very calming tropical colour which resembles both resilient energy and summer elegance. 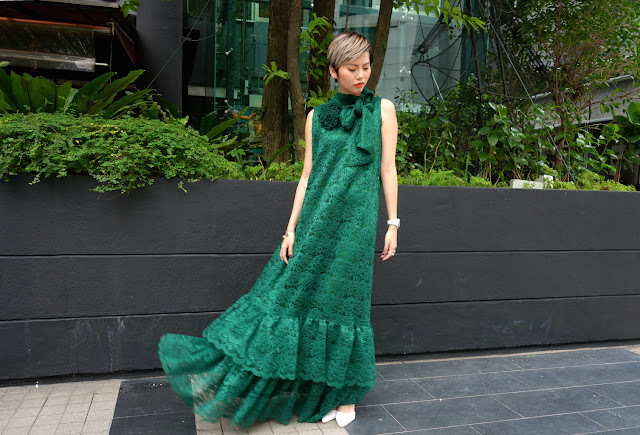 For someone who is not into loud colours like orange or yellow, I prefer this forest green lace dress if I were to channel my tropical vibes into colour. The layered laces flowing along my each movement reminds me of wind embracing tree leaves and I'm just feeling myself dancing with the wind. My recent fav white pointy toe pumps! I paired this lace long dress with a pair of white pointy toe pumps and some silver/transparent/white accessories so that it wouldn't be some loud pieces that tries to takeover my outfit spotlight. Green and white combination is just nice, like a breeze in the woods, don't you think so? In order to look better wearing a dress like this, glowing and radiant skin is a must. That's why I try to consume as much fruits and vegetables as well as stay hydrated throughout the day. Skin is our largest human organ but we often neglect it, I take care of my face more than other parts of my body and I kinda feel guilty about it sometimes. 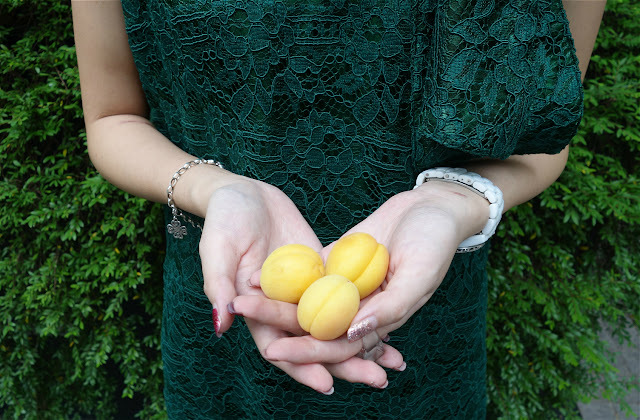 I try to look for something that is good to my skin, and this is it: apricots! And what's better than apricots? 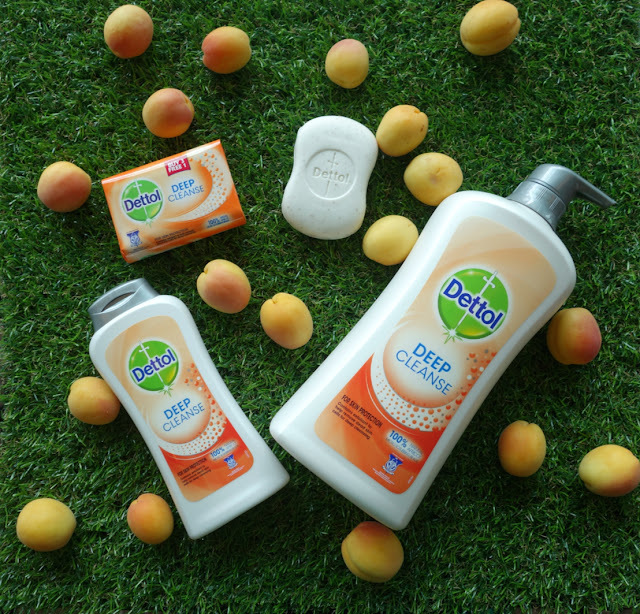 Dettol Deep Cleanse Apricot Body Deep Cleansing series! Thanks to RB Malaysia and Bridges PR for the invitation, I am among the first to try out this brand new apricot deep cleanse series from Dettol. Comes in body wash and soap bar form, this deep cleanse series contains 100% natural apricot micro-scrubbing beads as exfoliants, it effectively removes dead skin cells, leaving me a brighter skin complexion. I've done a small test with this deep cleanse series and surprisingly after exfoliates and cleansing, my skin's moisture value went up from 34.4% to 51.9%. It can be use everyday without worry that skin will dry out and with its micro beads, it deep cleanse my pores, leaving no dirt and oil residue on my skin so my skin renewal rate is speed up and skin looks radiant and healthy. Did I mention that this deep cleanse series comes in fresh apricot smell? Healthy, delicious smelling skin for/after an active day out, this is the perfect tropical vibes that I'm looking for! I love the dresss and the pumps too! !how much is the pumps?